GORD's towers are easily adjustable to wind applications; this includes all self-support and guyed towers as well as Monopols and even some flat roof mounts. In addition to supplying our standard structures, we have extensive experience in working with innovative companies and developing custom-design structures for their turbine models. Guyed and self-support tower models can support wind turbine capacities varying from 500wt to 30kw. For higher capacities, customized engineered tower models and monopoles are more suitable. 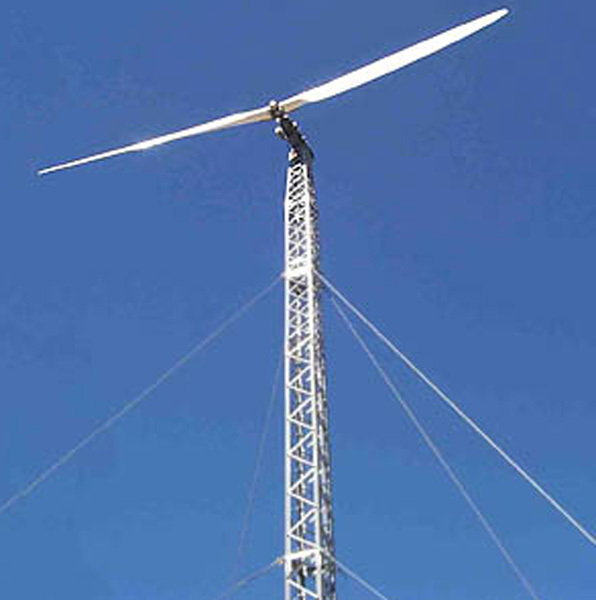 GORD towers are used for temporary or permanent wind monitoring applications.